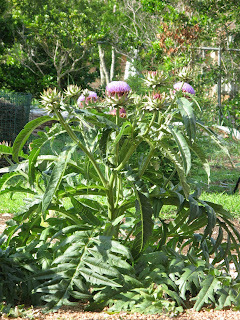 Rebar and Roses: Artichokes are Blooming! 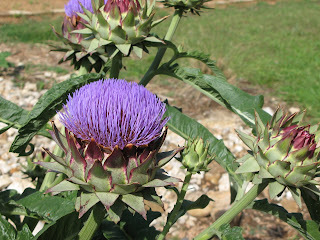 I grow artichokes just for the flowers and the architecture of the plants. I think that they are just spectacular when in bloom. These were planted from 1 gallon containers last fall.